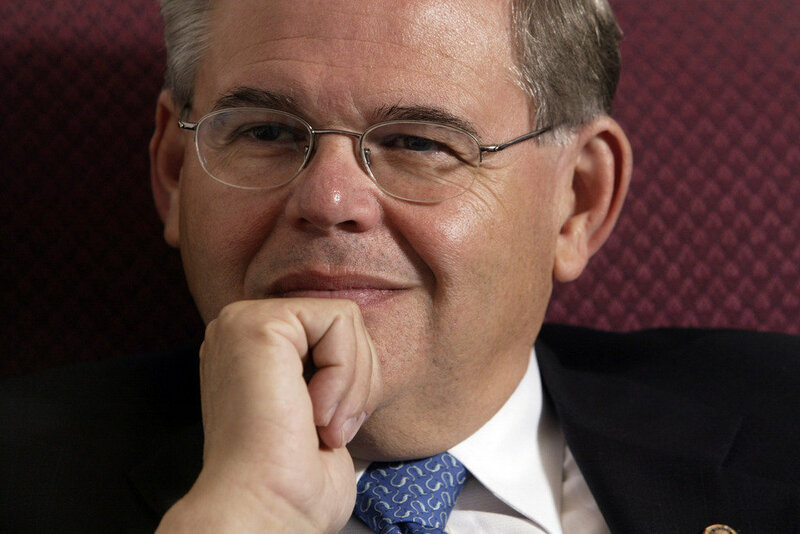 US Senator Robert Menendez (D-NJ), Chairman of the Senate Democratic Hispanic Task Force, Senate Majority Leader Harry Reid (D-NV), and Senator Marco Rubio (R-FL) sent a bipartisan letter today to the Senate Appropriations Committee Subcommittee on Interior, Environment and Related Agencies requesting that the Committee include language in their Fiscal Year 2013 appropriations bill supporting the creation of a Smithsonian American Latino Museum, Latino programming and outreach through the Smithsonian’s Latino Center, as well as the recommendations ofNational Museum of the American Latino Commission. 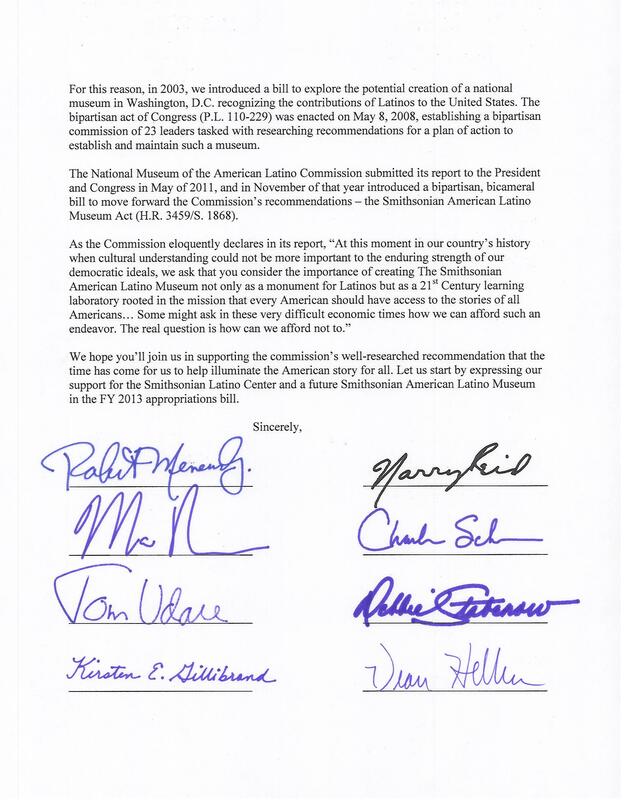 The letter signed by 8 members overall, including Senators Harry Reid (D-NV), Marco Rubio (R-FL), Charles Schumer (D-NY), Debbie Stabenow (D-MI), Kirsten Gillibrand (D-NY), Tom Udall (D-NM), and Dean Heller (R-NV), was spearheaded by Senator Menendez (D-NJ), Chair of the Senate Democratic Hispanic Task Force. 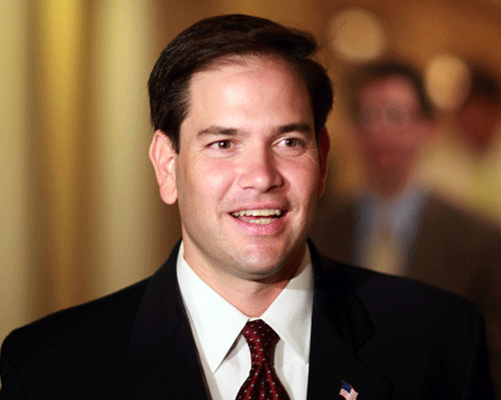 In November 2011, US Senator Robert Menendez (D-NJ), Majority Leader Reid (D-NV), US Senator Marco Rubio (R-FL), US Representative Xavier Becerra (D-CA) and US Representative Ileana Ros-Lehtinen (R-FL) introduced bipartisan legislation in the Senate and House of Representatives to authorize the Smithsonian’s Arts and Industries building on the National Mall as the designated location of the Smithsonian American Latino Museum. 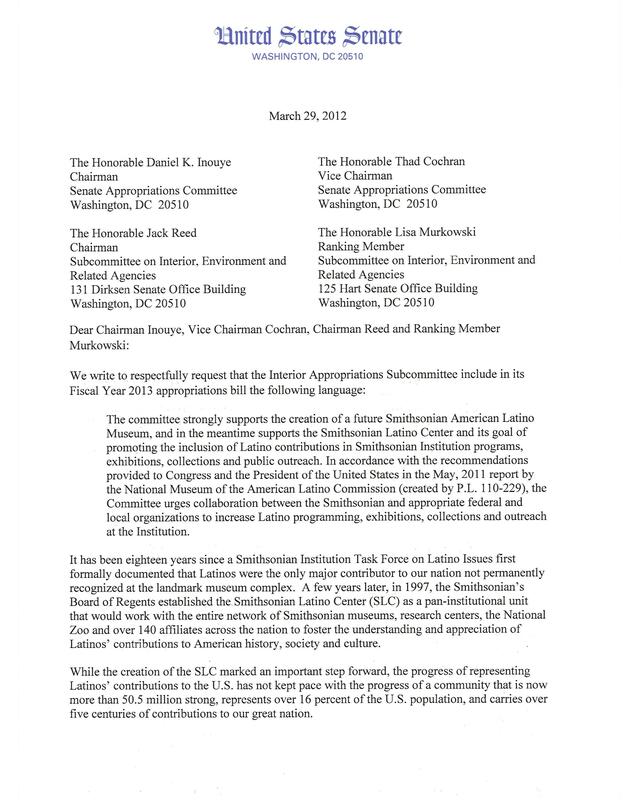 The authorization of the museum follows the recommendations of the May 2011 report of the bipartisan Commission to Study the Potential Creation of the National Museum of American Latino, a Commission that was established by law in 2008. 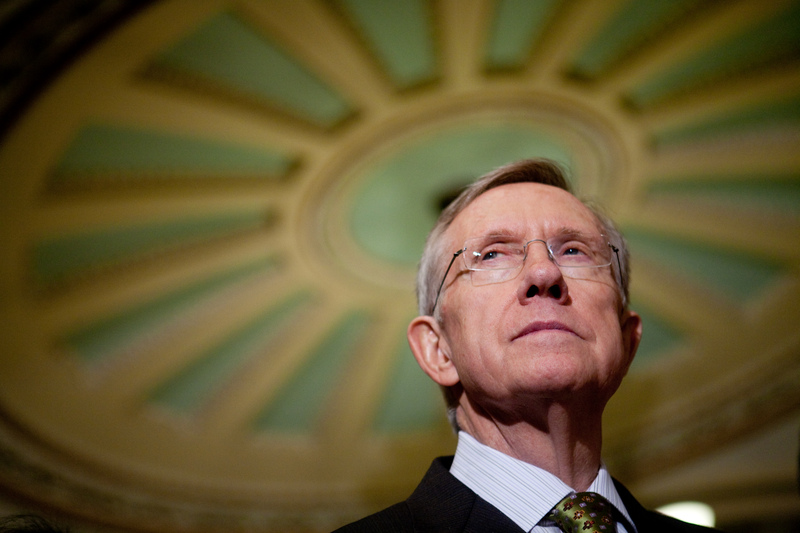 WHAT IS HARRY REID SAYING ABOUT HISPANICS? 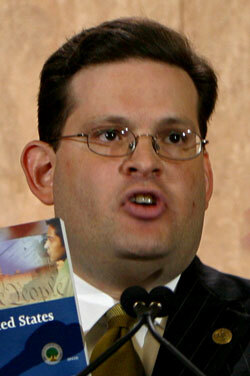 Alfonso Aguilar, a former Bush administration official who now heads the Latino Partnership for Conservative Principles think tank, said he was especially offended by Reid’s suggestion that Rubio was “supposedly” representing all Hispanics – and therefore should have backed Aponte from the start. “Sen. Reid, based on Sen. Rubio’s initial opposition to the confirmation of Aponte, questions whether Senator is defending ‘Hispanic issues.’ The hypocrisy cannot be more shocking. Wasn’t Reid the man who helped lead the Democrats‘ filibuster of Bush nominee to the federal bench, Miguel Estrada, a Harvard trained and extremely experienced attorney, who was also a Honduran immigrant? Was Reid working against ‘Hispanic issues’ then?” he wrote.